The long Awaited Launch is finally here! 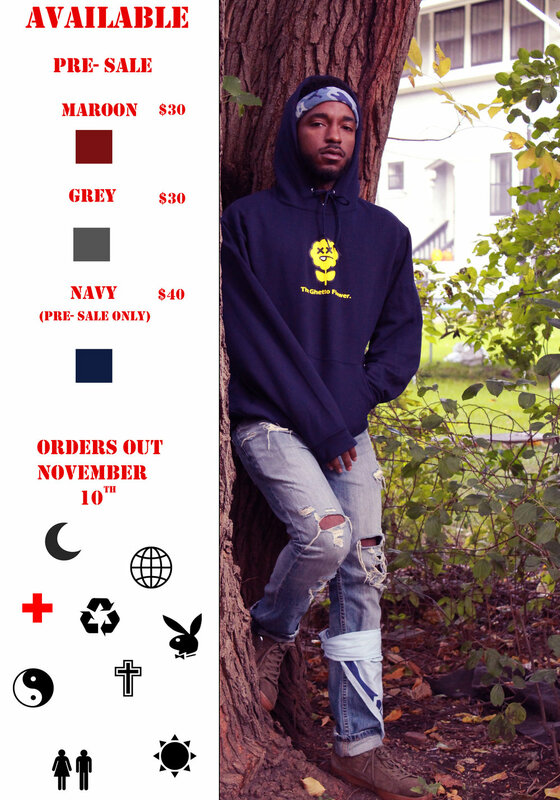 We give the people what they want this lovely breezy time of year with our brand new fall hoodie capsule. This capsule contains 1 succulent lovely crafted hoodie in 3 different colorways. The colorways are Ash Grey, Maroon, and limited edition Navy Blue. Pre- Sales are Available today up until November 10th and shipments begin the 15th of November. Please Pre-Sale because it will be very limited. Navy Blue is only available for pre-sale because it is our special limited edition look for the fall. As usual, 10 percent of profits goes to the inner city youth foundation. This is our future and our opportunity to shape the culture, so join the movement and cop your new Ghetto Flower merch today. 3 COLORWAYS OUT NOW !! TGF Graphic Tees - AVAILABLE NOW !